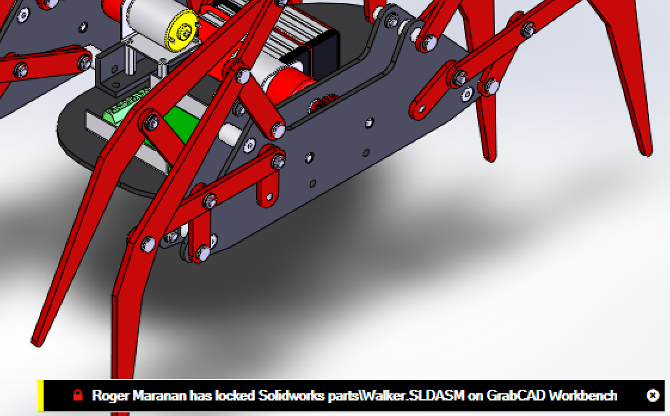 After you've got your projects into your Workbench account and invited your team, you're ready to use GrabCAD to collaborate. When your assembly is ready to go to the next phase, you can mark the assembly and all its components as a revision. Use "Mark as Revision" from the File Options menu. Revisions are a label applied to a specific version of a file. They do not create new versions or change the file in any way. 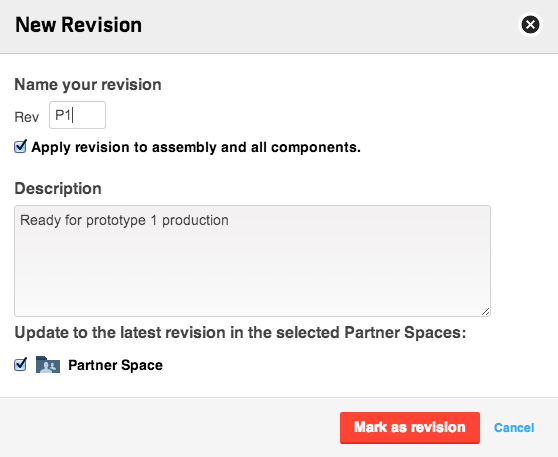 You can also use the Mark As Revision option to update new versions to Partner Spaces if they are already in the Partner Space, as shown above. 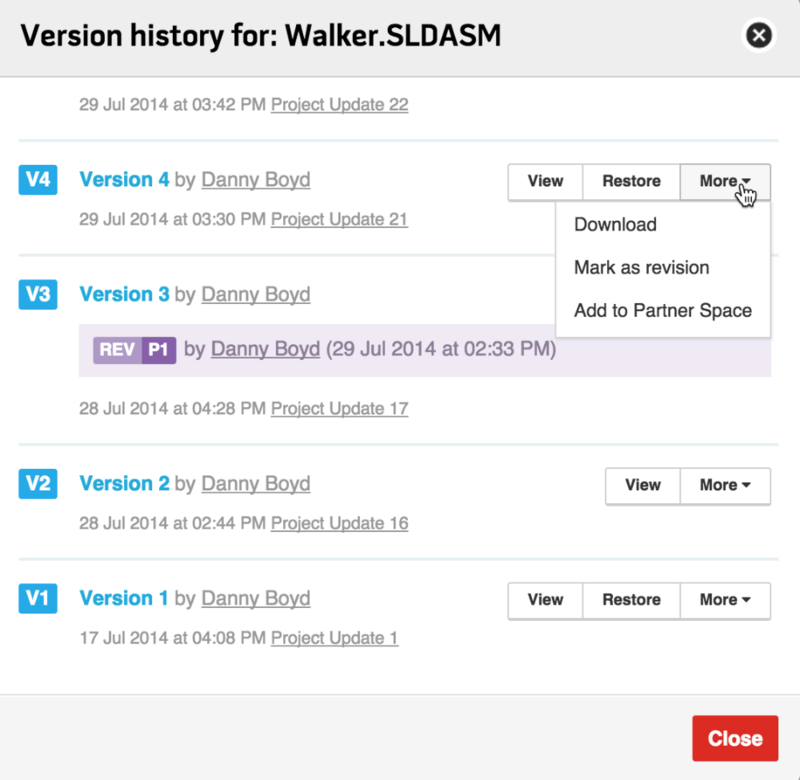 Using the version history, you can also mark a revision on an older version of a file. 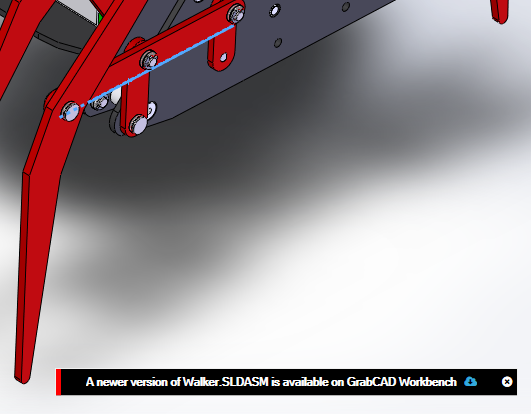 Note: Marking a revision on GrabCAD does not update the revision in the title block of your drawings or in the metadata of your files. Let's say you're working on one part within an assembly. 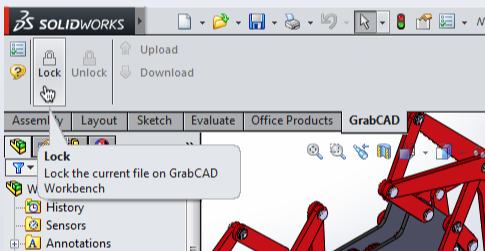 When you open SolidWorks, select the project in the GrabCAD add-in and click on "Local Folder" to bring you to the list of files. To let your teammates know you're working on the file, lock the file from the Command Manager ribbon. 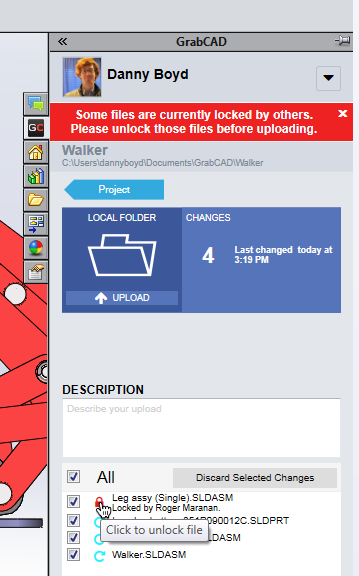 When you are done working, save your changes and unlock the file. The add-in will show you have changes to upload. Upload your new versions using the right-side add-in tab. If your coworkers have an assembly open that references your part, they will get a notification that a new version is available. They can click to load the new version of your files into their window. 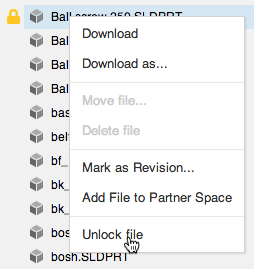 If you need to release files to partners, restore an old version, or comment on a file, click on the Workbench cloud button to go to the project in your browser. Uploading and downloading take place from within the Desktop App. 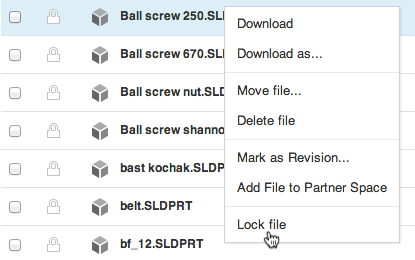 File locking is accomplished via the web interface. To see which files your team is working on, check out the list of files in the Workbench project. Click on "Open Project" from the Desktop App to go straight there. 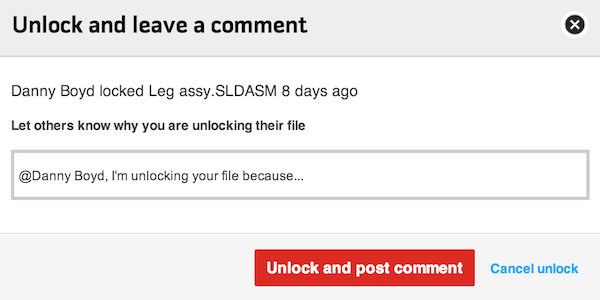 Check the lock status of the file you want to work on, and if it is unlocked, lock it by clicking on the lock or by right clicking on the file. You can lock an assembly along with its components, however components in a Common Parts Library project cannot be locked in this way. Go to your project folder on your computer by clicking "Open Folder" in the Desktop App and open the file you want to work on. 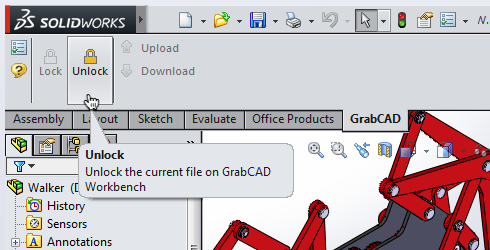 Click on "Open Project" and unlock the file from Workbench online by clicking the lock icon or by right clicking on the file. If you need to work on a file that is locked by a teammate, you can unlock that file in either the Desktop App or the Workbench project online. This is useful if a team member leaves a project or goes on vacation. This keeps the team moving forward while promoting responsible behavior and full transparency without the need for an IT administrator to get involved. You have to choose what to do with the conflicting versions in either the Download or Upload screens. The red text underneath the files explains what is happening when you select or conflict file or not. In order to decide which version you want to keep, hit "Open Project" on the Desktop App to view the conflicting file on Workbench. The best way to avoid conflicts is to lock files when you are working on them. Note: if you are unsure which version is more important, it is safer to upload your version. You can always restore an old version on Workbench, but if you overwrite your local file you may permanently lose work.